After the summer holidays the children returned to the school. They were excited to be in the higher class now as a result of their promotion. They welcomed their new teacher Miss Daisy by greeting her to the class. Miss Daisy was also very happy to see her new students and wanted to get to know them. She asked for their names and then asked about their holidays. Every one had something exciting to tell in the class about how they had spent their holidays. "Anyone had been to a zoo during the holidays?" asked Miss Daisy. Rohit lifted his hand up jubilantly. "Okay, Rohit. You share your experience and what you learned from this visit, with your classmates," said the teacher. "I saw many animals and birds in the zoo. I liked Zebras a lot," said Rohit. “Okay. Now let us learn about Zebras from Rohit. How many of you have seen zebras?” asked the Teacher. Three of them lifted their hands. “Zebras are a type of animals with black and white stripes,live in forest and zoos. They are part of horse family.They are social animals and live in large groups called 'harems.' They have a height of 3.5 to 5 feet, and length 7-9 feet," said Rohit. The teacher was very happy to see Rohit explaining about Zebras,in the class. “Are they very heavy animals?” asked Vipin. “Interesting things to know about them are they have great eye sight and hearing capacity. They also have good sense of taste and smell. God has given them powerful hint legs and using their legs they can easily escape from their enemies," continued Rohit. “Very interesting. How many types of zebras are there, Rohit?” asked Meera who sat in the back seat. “There are three types of zebras, Meera. 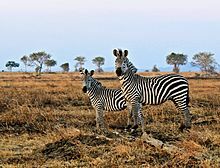 They are plains zebra (common zebra), Grevy's zebra and mountain zebra.” Rohit was happy to answer her. "What do they eat, Rohit?" asked the girl next to Meera. The children looked at each other in surprise. “Well done Rohit. Now tell us what is a baby zebra called?” asked Miss Daisy. "So very interesting...! Please tell us something more about zebras." It was from John from the second row. 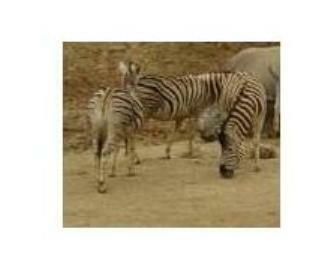 Rohit was only too happy to share whatever he knew about zebra with his friends. "You all know zebras have stripes on them, and all of them look alike. But do you know these stripes differ from zebra to zebra? They are different just like finger prints of humans differ from person to person. To see all finger prints look alike." "Oh, so amazing!" Meera was thrilled. Though she had visited a zoo with her parents she never bothered to learn more about them. "Do you know about their their life span?" asked Vipin. "Yes, I'll tell you Vipin. If zebras are in captivity they can live for about 40 years." "If they are in the forest?" "They can live usually about 20-30 years in the forest." "What do you mean by captivity?" asked John. "Captivity means those animals and birds live under human care, such as the animals and birds live in farms and zoos are in captivity." There was complete silence in the class for about two minutes. Then Miss Daisy came closer to him. "When they live in forests won't they have any enemies,Rohit? Do you know anything about it?" asked Miss Daisy. "Yes, definitely Miss. In forests, they will always be worried about their predators like Lions, hyenas, hunting dogs, leopards and cheetahs," replied Rohit. "When zebras are grouped together, their stripes make it hard for a predator to pick out one zebra to chase." "What is meant by predators? Explain to your friends." "Those animals who hunt other animals for their food. For example, lions are the predators of zebra. Lions hunt for zebras to make them their food so they are their enemies." "Now did you all learn about zebra?" asked Miss Daisy. "Yes, Miss." The children answered in unison. "Thank you Rohit for telling us about zebras." “The saddest part is that the zebras are listed in the endangered animals group. That means if they are not protected well, they will soon vanish from earth.” said Rohit, as a concluding part of sharing his knowledge.